Figure 1. Percentage of Ebola virus infection cases (not laboratory -confirmed) in three western African countries as reported by the U.S. Centers for Disease Control and Prevention (January – December 2014). 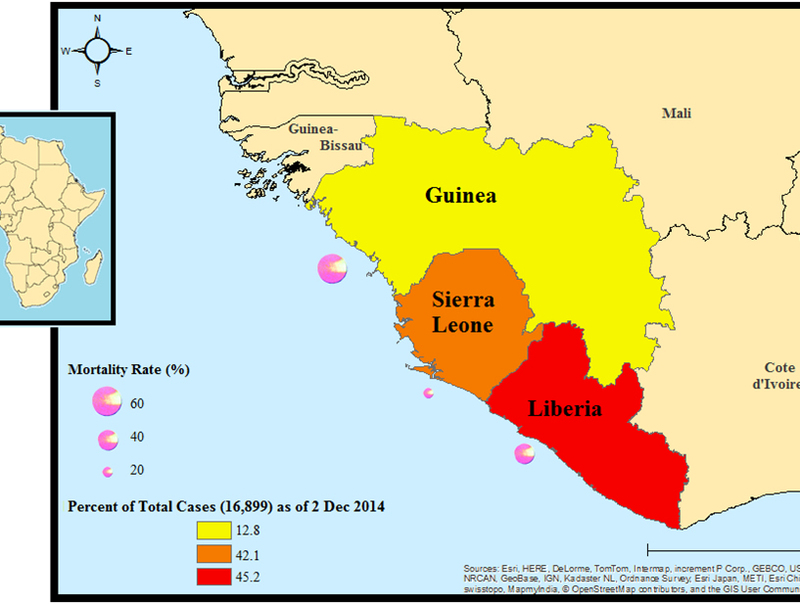 Purple circles represent Ebola mortality rate for each country.